For over a century, Euclid Chemical Company has developed strong relationships with contractors, specifiers, owners, building materials suppliers and concrete producers offering high quality products and industry leading technical support. 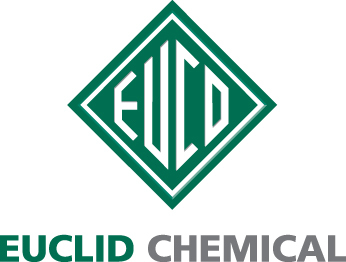 The Euclid Chemical Company is a leading supplier of concrete admixtures, macro- and micro-fibers, integral color, stains, dyes, and concrete repair materials. We have made it part of our company’s vision to provide sustainable product systems that achieve social and environmental objectives. The company provides in-house support services including research and development, petrographic analysis, continuing education seminars, contractor and distributor training programs and consultation services for contractors, architects, engineers and owners. Leveraging these strengths, Euclid Chemical is a trusted partner for success in the challenging concrete construction market.